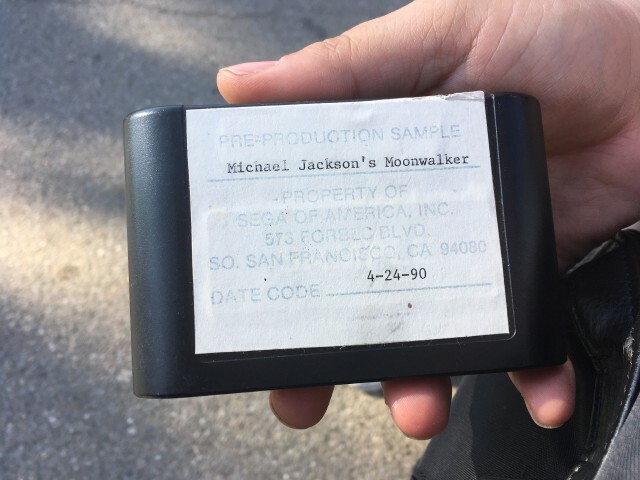 Michael Jackson's Moonwalker Prototype Preproduction Discovery - Features Thriller as full stage music! Thread: Michael Jackson's Moonwalker Prototype Preproduction Discovery - Features Thriller as full stage music! This same thread is cross-posted at NintendoAge. I also posted on Reddit a few days ago. Figured you folks at Digitpress might have some interest. A buddy of mine found this at the swap meet this morning for $20. I walked right by it! He hasn't tried firing it up yet, but the date code puts it a few months before the retail release. My assumption is that it is a final build, but we'll find out shortly. The cart is significantly heavier than a standard Genesis cart. Anyone have experience with these pre-production carts? The seller supposedly sourced it directly from Neverland. When you start a game, there's a level select screen allowing you to choose the round and scene. On the options screen the list of music samples is different, with generic names like 'Round 1', 'Enemy' etc. instead of song title. There is no score & time screen after you beat a level. The transition animation between 1-3 and 2-1 is different. Bombs are always stationary and always explode after 3 seconds. In 2-2 the two elevators at each end of the level are not synced. If you use one you have to go all the way back to it to change floors. The 2-3 boss battle is different, there's no magic white dog, just a bunch of the regular dog enemies. The Round 3 music is Thriller, the full song. In the 3-2 and 3-3 boss battles you just fight regular zombies, they don't fly or detach their torsos or anything. 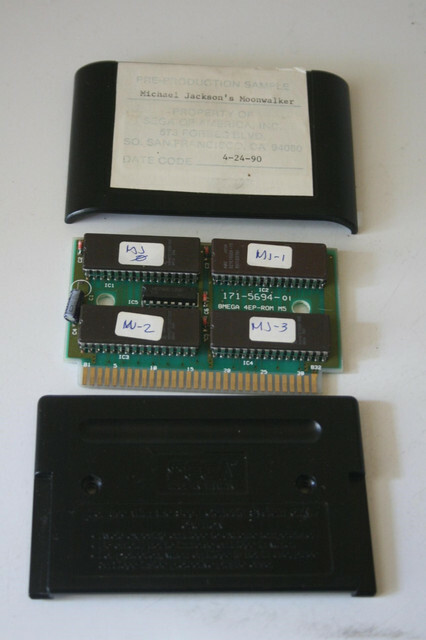 Some early versions of the released game contain the Thriller tune, then shortly after, Another Part of Me replaced it. Thriller was added by mistake or was removed after it was uncovered because of legal reasons. That is correct, though the Thriller tune is only played in response to the special dance move. It is not the stage music, as is found to be on the proto cart. I saw this thread and immediately thought of you. Glad to see you're still here! Thanks for still thinking of me. I hope you're doing well. As for Moonwalker, the OP is right, Thriller is only played during the special move on early carts. The proto cart is pretty cool.